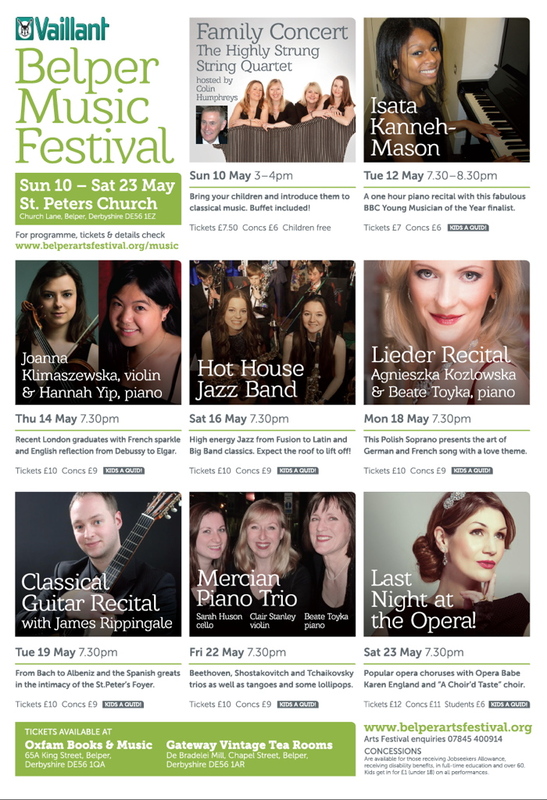 Tags: Beate Toyka, Belper Music Festival 2015, May 10 - 23 | Permalink. being joined by Jane Ford who you may have heard in our Cathedral gig last year, and Carolin Hlusiak. The warm and friendly environment at the S Anselm’s Piano Competition is an excellent opportunity for competitors to feel relaxed and inspired and all competitors will receive memorabilia of the day. 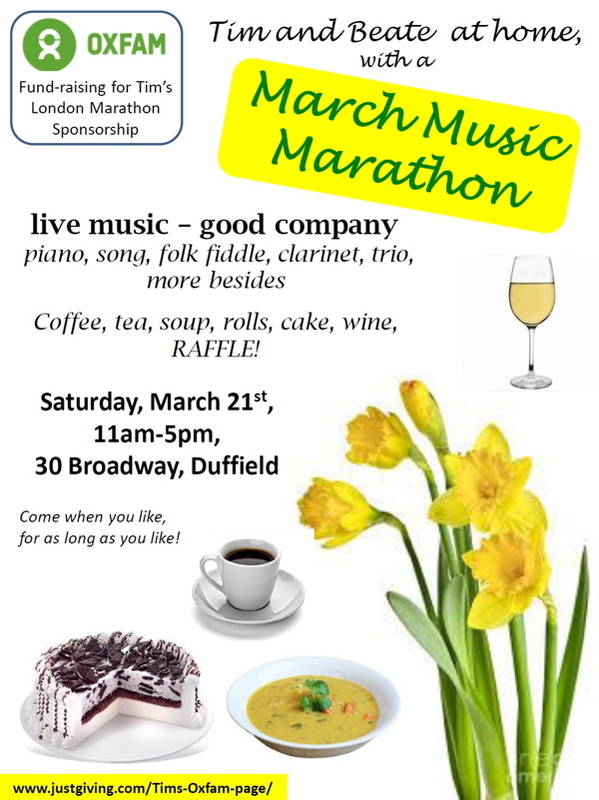 Prizes will include the S. Anselm’s Open Piano Class Trophy and the Peter Malcolm Grades 7-8 Class. The competition will adjudicated by Peter Lawson, ABRSM examiner, tutor of contemporary piano at the RNCM and piano tutor at Chetham’s School of Music and Mark Percival, Head of Music at S. Anselm’s School. Refreshments will be served throughout the day and ample free car parking is available at the school. An afternoon concert will commence at 2pm in which class winners and runners up are invited to perform their pieces making a wonderful end to a fulfilling day. 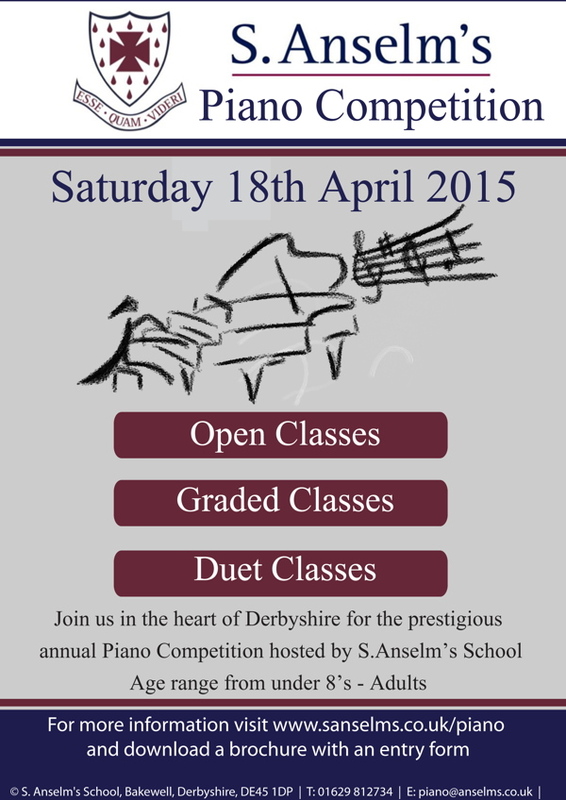 We look forward to welcoming you on Saturday 18th April 2015. 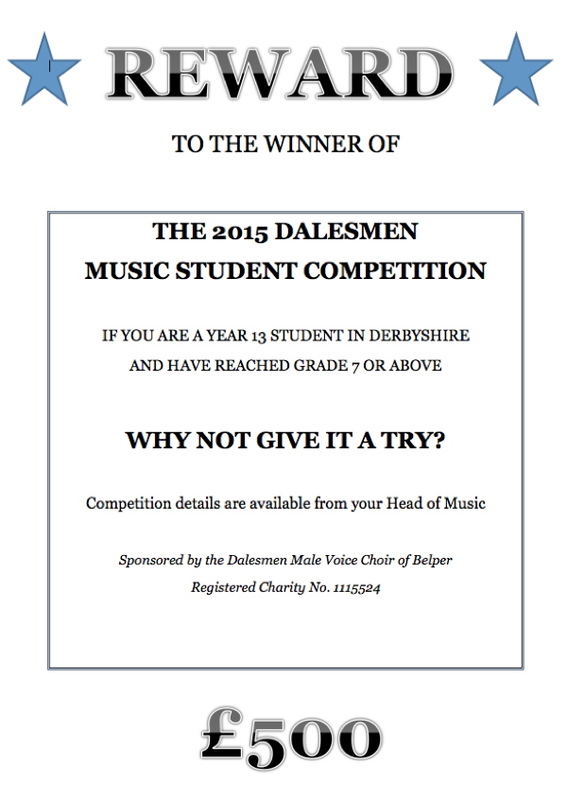 Early in 2015, the Dalesmen MVC will, once again, be holding their Student Award Competition. This offers a cash prize of £500 to the winning student, to assist them with their further education. The award is open for competition to all Derbyshire based students who are in their final year (Year 13) and who intend to move on to further studies at University or College. It is expected that applicants will be at the standard of Grade 7 or above on their chosen instrument. The Choir will require each applicant to perform two items on their chosen instrument/voice in front of a panel of adjudicators led, this year, by Christine Palmer. This will take place on Saturday 14th. March 2015, at the Strutts Centre, in Belper. The Strutts Centre is the rehearsal venue for the Dalesmen, and the main hall enjoys the twin benefits of good acoustics and an even better baby grand.